Entries are coming in for this year’s Welsh Knockdown Championships hosted by BKK Wales. Entry closing date is 27th April ‘2019. U18 England and U18 Wales were represented by 23 competitors at this year’s Pilatus Cup in Kriens, Luzern, Switzerland, lead by Wales Head Coach Sensei Chris Davies, and England Head Coach Sensei Wai Cheung, and skills coaches Shihan Sunil Tailor and Senpai Gareth Jones. Fantastic results, and great learning experiences for all involved. Two Knockdown Referee Courses have been announced to review knockdown rules within the BKK to incorporate Adult, Veterans, Cadets and Junior Kyokushin rules. 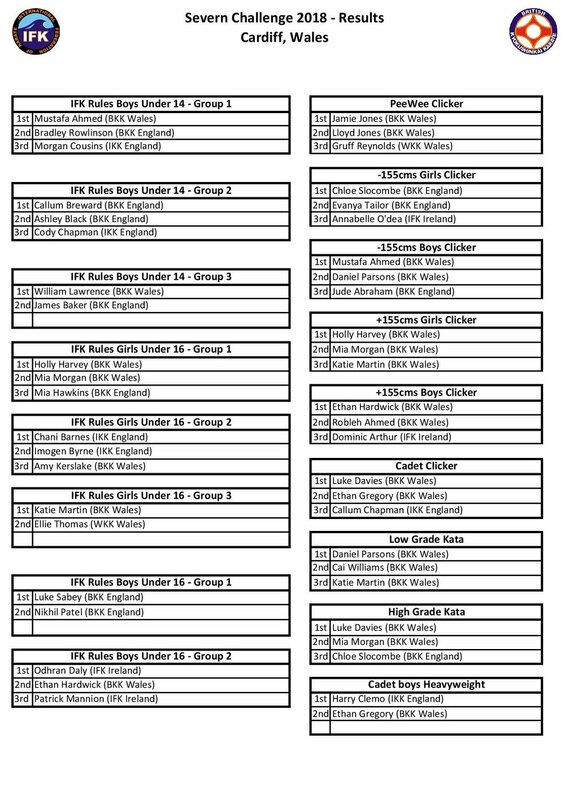 The courses are in preparation for the Welsh Open Tournament 11th May 2019 and the British Open – Cup of Europe at K2, Crawley, Saturday 5th October 2019. Any qualified or non-qualified Referee/ Judge wishing to be considered to officiate at either event must attend these courses. Course One (30th March ‘19): [THEORY] will involve in-depth analysis of rules to ensure referees and judges are able to sit and pass the examination. Course Two (14th April ‘19): [PRACTICAL AND EXAM] practical application of refereeing, followed by an examination for all participants, whether qualified or non-qualified referee/ judge. A new examination has been developed to incorporate Adult, Veterans, Cadets and Junior Kyokushin rules. Please email andrew.turner491@btinternet.com or call (+4479740 94925) Shihan Andrew Turner to register your attendance. Youth and experience combine for Great Britain at the KWU Kyokushin European Championship among men, women and seniors in weight categories, and 6th KWU Open Kyokushin Youth World Championship (kumite) in weight categories which are going to be held in Bulgaria, Varna, on December 6th – 10th, 2018. Solid tournament performances and consistency sees the following fighters get their chance to represent Great Britain for the KWU’s year-ending showpieces. Good luck to all. OSU! Senpai Dave pictured here at his last training session with Shihan Stuart Wright. RIP Senpai Dave Ketley, 2nd Dan. It is with sadness the BKK announces on Friday 3rd August Senpai Dave Ketley (2nd Dan) passed away. He was a student at the Chelmsford Dojo for 35 years, and will be sadly missed by friends and his wonderful family. Our condolences to his family at this sad time. The BKK executive and Coaching Committee are pleased to announce the promotion of Sensei Wai Cheung to the role of England U18 (Junior & Cadet) Head Coach, whilst Senpai Kenny Mortin joins the senior coaching team as a knockdown skills coach. Shihan Nick Da Costa from the BKK Coaching Committee said: "Both Wai and Kenny have been extremely successful fighters on the international stage in their own right, and expectations are high as they pass on their skills & determination to the next generation in their new coaching roles." We wish them all the best and good success for the future BKK international fighters. Announcing the appointment of three-time British Open Champion and numerous international titles, Sensei Kenny Jarvis (3rd Dan), as new GB Knockdown Squad Head Coach with immediate effect. We will now be looking for skills coaches for both England and Wales to backfill and support the current coaching team. The BKK had a busy weekend with competitors going to both the Diamond Cup in Belgium and the IKKU Scottish Open. We had nine participants in Antwerp at the WKO event with Emma Markwell BKK securing her second diamond winning the -57kg title. In a strong field she worked her way to the final defeating Kimm Carriere from Canada in the semi. Hayley Beth Rowlands also fought in the other semi final but lost out to the Bulgarian WKO European Champion. Its another successful step for Hayley as she works her way towards the top honours. Also competing in the adults was Lisa Heath who made the Quarters but lost by decision to Swedish fighter Cecilia Wallin and Luke Baldwin who had a tough three rounder to the very durable Juan Carlos Auge of Spain. The cadets had to fight with slightly different rules to what they are used to with helmets and light contact kicks to the head scoring waza ari so I don't think this suited their fighting style but it was still great experience for the three of them with Jaime May Rowlands and Jess Charsley taking joint 3rd and Luke Jones missing out to the head kick rule. 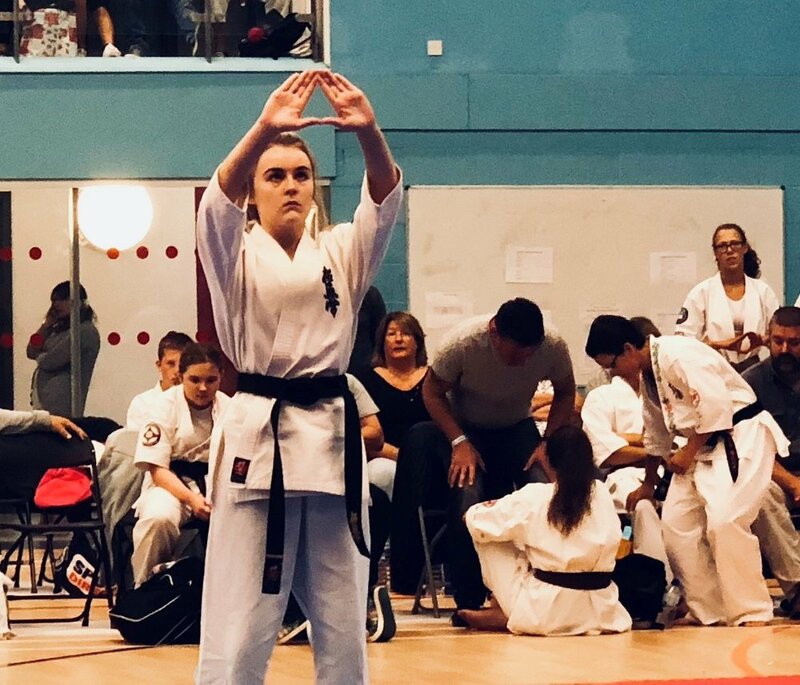 The BKK also competed in the Kata event with Janine Davies taking a credible 3rd place losing to the European Champion in the semi and Sunil Tailor missed out early on. Meanwhile in Scotland the BKK had approximately twenty participants and they picked up lots of silverware. We did really well in the Novice categories with gold Weronika Oleisejuk WHW , Harry Harden MLW and Dylan Baldwin MMW. Also Invictus got 2nd in MHW with Tristan Taylor and most spirited fighter Jon Joe Lawler in tough novice categories. In the Open categories fight of the day saw MW final teammates Blake Collins and Dawid Ozga fight a tough three round battle with Collins sneaking a 3-2 decision . Ben Watson of Westhill also deserves a mention for a very hard earned 3rd place in MHW to show he is improving all the time. Overall the event was a tremendous success for the BKK with lots of valuable experience and we look forward to seeing them all compete at the BKK English Open in May! Chairman's Message - Shihan Liam Keaveney on last and this year. Team Great Britain attended the 3rd KWU World Tournament held in Ekaterinberg, Russia 9th-10th December 2017, in what was one of the most professional and spectacular Kyokushin tournaments ever seen setting the standard for all others. In a hotly contested tournament of extremely high standards, Emma Markwell claimed her third World-level silver medal. Congratulations to her, and the rest of the team who represented us all proudly. The BKK wishes Team GB the best of luck at the 3rd KWU World Tournament held over two days this weekend (8th-9th December) in Ekaterinburg, Russia. This year's national Clicker championships saw approximately 300 competitors with 60 teams across 22 categories, including a Junior and PeeWee Home Nations event in England vs. Wales vs. Ireland. Thanks to all those in attendance, in what was a 25% increase in participation from last year, with one less fighting area to use, and a much longer than anticipated day of competition. Special thanks also to our friends from IFK Ireland for travelling over and supporting the event. Thanks too to the referees, officials and organisers who came together to make this tournament the success it was. It is with great sadness we annouce Sensei Al Jelly (4th Dan) formerly of Abbey Wood Dojo, passed away on the 30th September 2017 after a short illness. He was a student of Hanshi Arneil's at Crystal Palace dojo, before runinng his own dojo in Abbey Wood. Hanshi and the entire BKK express their sincere condolences to his family. He will be missed.